After seeing Andy Tran’s article on The Best Hidden Feature of Divi, I decided I’d try and build something using inline JS, HTML & CSS to test Divi’s code module out. I really hadn’t used the code module at all and it didn’t even occur to me that I could inline CSS and JS using <style> & <script> tags. This is pretty exciting because when you couple the code module with Divi’s portability function, developers & designers can create some really wonderful stuff without being limited to Divi’s built-in modules. 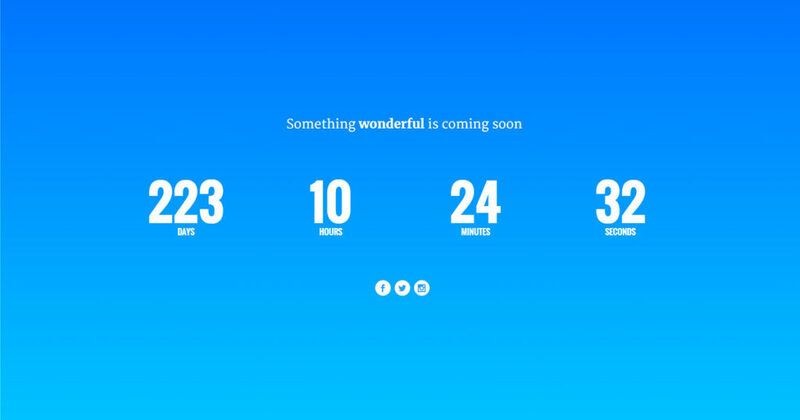 I decided to build a coming soon page with a countdown timer. I adapted this Codepen from Chris Johnson. Create a new page and in “Page Attributes” change the “Template” to “Blank Page”.